How do I remove an existing peer-to-peer fundraiser from my Giving Day? 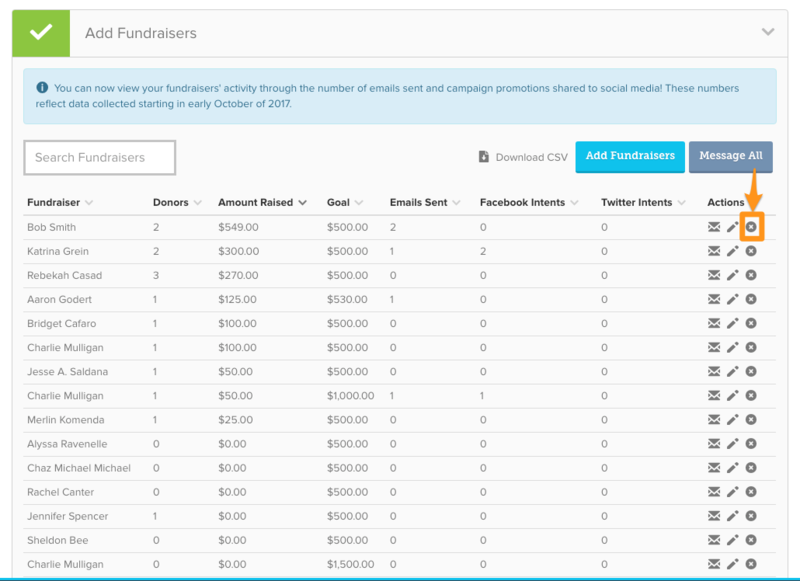 From your Giving Day Dashboard, expand the sixth tab that says "Add Fundraisers." From here, you will see a list of everyone currently signed up to fundraise on your organization's behalf. Locate the fundraiser you wish to remove and click the "X" icon on the right to remove the page.